Residential Clients rent physical office space within the building to which services are provisioned. The client then operates from within that building. Virtual Clients do not operate from the building but can be provisioned with telephony services. This way they have a phone number and address for correspondence, without a physical office space. From the Clients page select a client and click Edit under More. A selected client can now be converted by highlighting the client and clicking the Convert button. 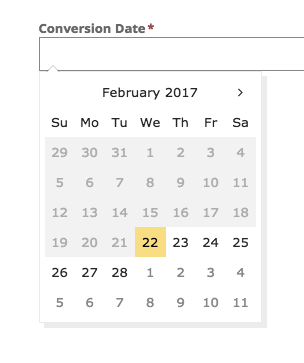 This will take you to the conversion page where you will be asked to enter a conversion date. Picking the todays date will convert the client immediately. Picking a date in the future will schedule the conversion for the early hours of the date in question. Current residential services will be removed and you can add applicable virtual services. Once you have selected the required services, click next. You can then access the service guide for the client or setup call forwarding. Once a date has be selected you will be asked to select Available Offices. When an office is selected it moves into the Selected Offices box, where you can deselect it by clicking on it. (workstations) indicates the number of workstations in that room. This can indicate the number of floor ports in the room, or desk space. The Active Workstations field is where you indicate the precise number of workstations you require so that provisioning can be set up for the right number of clients. This number must be the same or less than the number of available stations. Rooms and workstations can be created and managed in the Building page. Select workstations and click Save. Next you will be taken to a page where you can remove the virtual services the client purchases and add the residential services they will require. The Client Service Basket shows the final services, price and quantity of services that have been selected. Once you have selected the required services, click next. If this client will be receiving internet or voice services, a pop-up will appear asking you whether you would like to provision their floor ports automatically. Click Automatic Provision. This will take you to the Floor Port Allocation screen where you can select the floor ports that you would like to allocate, where Connect will automatically provision them. This is covered in the following section of this article. Click Skip. This will finish the client creation process, but will not provision any floor ports You will need to go to Switches page to provision the ports. Click Automatic Provision, then click Cancel. Go to the Building page to make any necessary changes to patching. You can read more about updating your patching in the Floor Ports section of the Knowledge Base. You must then start the conversion process again in the Clients page. This is where you can see all the floor ports in the rooms that the client is moving into. Ports that you allocate in this section will be ‘lit up’ for use by the client after you click finish and can be used for various services which we call ‘Roles’. If at any point you need to reset all the ports back to their original allocation and role, you can click the Reset All Button. To select which room you would like to view, click the tabs at the top of the page. The colour of the text in this column can change depending on the context. If this column is green and says “Unallocated” then the port isn’t currently providing service and so is available to assign to the client moving in. The patch list in the Building page may not be an accurate representation of the physical state of patching between floor ports and switchports i.e. Connect may show a switchport to be patched to the wrong floor port or a switchport to be patched when it is unallocated. You may wish to check patching in the coms room and update the patching list in the Building page before proceeding to Automatic Provision. You can read more about updating your patching in the Floor Ports section of the Knowledge Base. You must then start the conversion process again in the Clients page once you are happy that your patching records are correct. Your patch list is up to date but Connect is displaying an error message saying that the switchport is assigned to a client who has since moved out. If you are confident the client has moved out you can allocate the port to the customer moving in. Please be aware any changes you make on this screen will cause loss of service for any customer that is genuinely using that switch port. 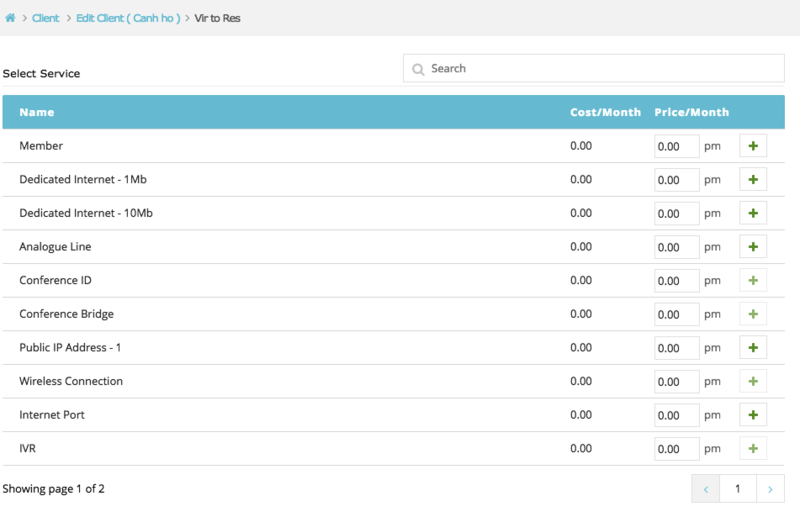 Click on the text in the Client column of the port you would like to allocate. 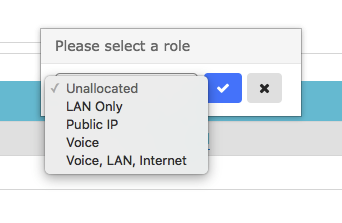 The Role will default to 'Voice, LAN, Internet'. Ctrl+Left Click (or CMD+Left Click on Mac) on the floor ports you would like to allocate. Voice, LAN, Internet: Allows the use of a phone for voice services and internet. Voice: Allows the use of a phone without internet. LAN Only: Allows access to the client’s private network, without being able to reach the internet or providing use of a phone. Public IP: Allows the use of a public facing device. You will only be able to assign this role if the client has been given a public IP service. This icon means that a comment is already assigned to the floor port. This icon means that no comment has been set. 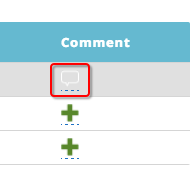 You can view and edit these comments by clicking on the icon, editing the text and clicking the tick. You can now click the Finish button to be taken to the success screen where you can download the client's new service guide.